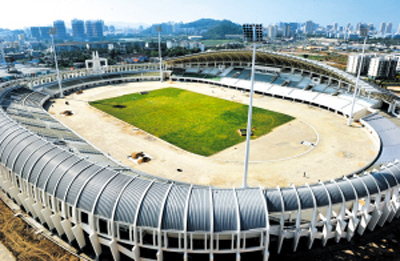 Starting Nov.8, Sanya Sports Centre, the largest of its kind ever built in Hainan, opens its doors to the public at no charge for two days. The Sports Centre, lying inside the Sanya Advanced Technology College, Lizhigou Area, was officially put into use on June 4 this year. The Centre consists of various parts including a 3,000-seat indoor stadium, an 8-lane swimming pool, a football field, a basketball court and a volleyball court which residents can get free access to.